When the beta builds of El Capitan were inspected closely, it was discovered that Apple might be working on a 4K version of the 21.5-inch iMac, along with a multitouch Bluetooth remote device of some sort. 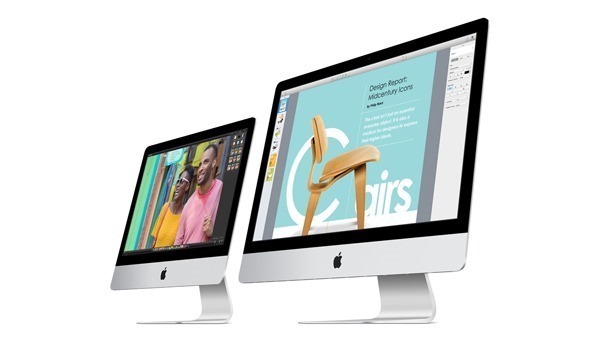 Now, reliable sources confirm that the 21.5-inch 4K iMac model is indeed on the way. The report, which comes from 9to5Mac, suggests that the new version of the 21.5-inch iMac with the 4K display might grace users with its presence this fall, putting it somewhat in line with Apple’s traditional iMac refresh cycle. The current plan is to announce the refreshed version of the smaller iMac by the end of October alongside OS X El Capitan and begin shipping the product by the beginning of November. It’s worth noting that currently, 21.5-inch iMac comes with a standard resolution of 1920 x 1080, while closer inspection of the references inside OS X El Capitan indicate that the new, higher resolution version will ship with a resolution of true 4K, putting it at 4096 x 2304. That’s a major upgrade for the 21.5-inch product line which currently doesn’t even sport a Retina display in terms of PPI. Apple did the same last year for the 27-inch iMac, when they announced a new panel with 5K Retina resolution, keeping in line with the then-trend that was on the rise. At that time, the 21.5-inch model didn’t see any love from the Cupertino-based tech firm, and it left Apple fans wondering whether the smaller iMac would see any improvements or not. One year down the line, we finally have reason to believe that Apple would indeed make improvements to the smaller sibling as well. 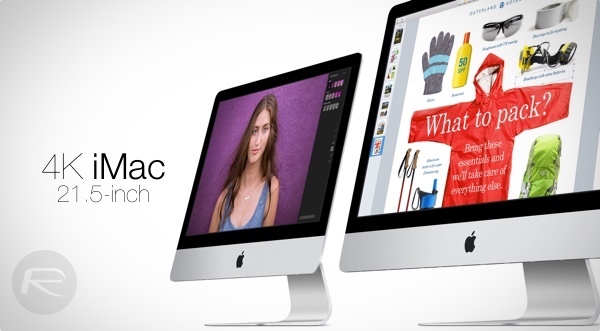 The experience with the 27-inch 5K iMac also gives us more to speculate on. Considering what Apple did with the larger iMac, they might continue the standard 1080p 21.5-inch iMac alongside the 4K one, albeit for a reduced price point. That said, it’s also very likely that the 4K 21.5-inch unit will sell for a premium over its older sibling, because the new panel is also expected to boast faster processors and improvements in color saturation along with the better resolution. Bringing back the remote to the mac, awesome. Just backs up the claims about the touchpad apple tv remote as I cant imagine apple releasing two different remote products. I just want 15″ or 17″ MBP with 4K resolution LCD. Can we have it soon too?